Doug Brenner, a former offensive lineman with the Oregon Ducks, named his former coach, Willie Taggart, the Duck’s strength and conditioning coach, and the NCAA in a lawsuit blaming them for his rhabdomyolysis (also known as rhabdo). Rhabdo is a very serious condition that is associated with dangerous levels of exercise. While exercising, if an athlete over-works their muscles, it can result in damage to the muscles that results in cell death. The dead cells enter the bloodstream where they cause damage to the kidneys. Severe cases can result in renal failure. The personal injury lawsuit states that upon coming to the University of Oregon, Taggart imposed a regimen that he hoped would focus his players on physical strength and conditioning. However, there were no coaches overseeing the workouts. Further, the lawsuit claims that NCAA is negligent for not imposing stricter regulations on player workouts. Does Brenner Have a Case? Brenner was not the only Oregon Ducks player to be hospitalized in the period following Taggart’s arrival. According to reports, two other Ducks players had to be hospitalized with similar complications. Each player was diagnosed with rhabdomyolysis. The two other players are still playing for the Ducks and are not named as plaintiffs in the lawsuit. What makes this lawsuit compelling is the fact that it was run in a similar fashion to military training. According to reports, if any player vomited, fainted, or otherwise faltered during the workouts, all of the other players were required to repeat the drills. In some cases, players were required to do over an hour of continuous push-ups and up-downs. Unsurprisingly, many of the players on the Ducks have downplayed the severity of the workouts. There is, of course, a tendency to not want to come across as a complainer. However, three of the individuals who were brought to the hospital were larger guys—two offensive linemen and a tight end. It’s also unclear what good working yourself out until muscle cells die is on the overall conditioning of your players. The lawsuit contends that the coaches should have had health and safety protocols in place in order to ensure that their players were kept safe. This could include fitness trainers who were trained to deal with potential complications of rigorous conditioning exercises. Were Safety Measures in Place? According to the University, safety measures were put in place. Players were allowed to tap out workouts if they felt themselves becoming overexerted. In addition, water was provided for players who needed it. The plaintiffs contend, however, that water was not available to players on the first day of training. After the workouts, some players complained of discolored urine or elevated levels of creatine kinase which are common symptoms of rhabdo. Brenner is asking for $11.3 million and hopes that the NCAA will better regulate workout regimens in the future. The Miami legal team at the office of Alan Goldfarb P.A. 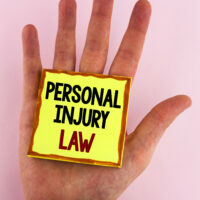 represents injured clients in negligence lawsuits. Give us a call or talk to us online to set up a free consultation.